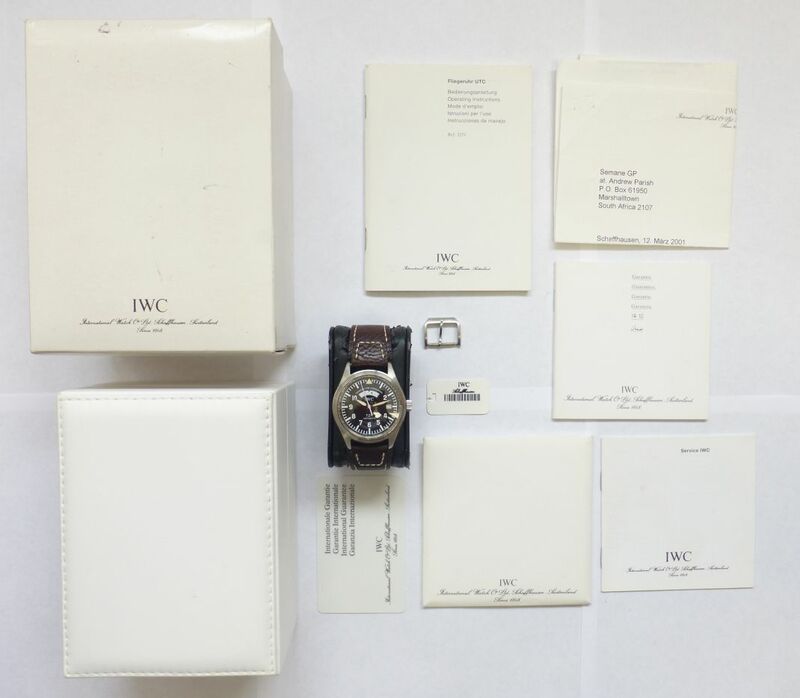 Mint condition IWC Fliegeruhr UTC model reference IW3251. Just been fully serviced prior to advertising. 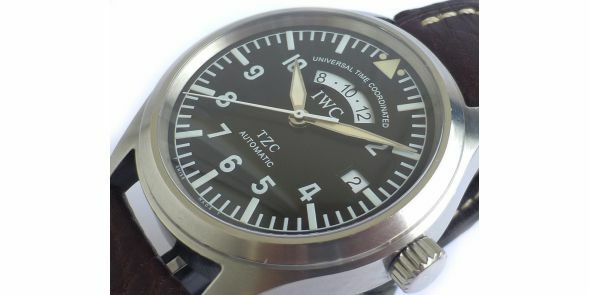 It has been discontinued for around 10 years and this seems to be one of the last UTCÃ¢â‚¬â„¢s with the matte dial and white numerals, bought in 2001, though dealer stamp on the card is not present, just model reference and serial numbers. 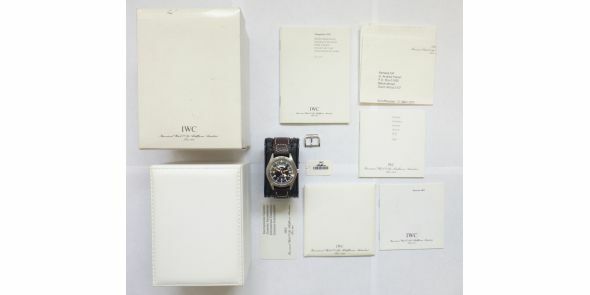 It comes complete with boxes and papers with original IWC brown buffalo flieger style leather strap and IWC pin buckle. 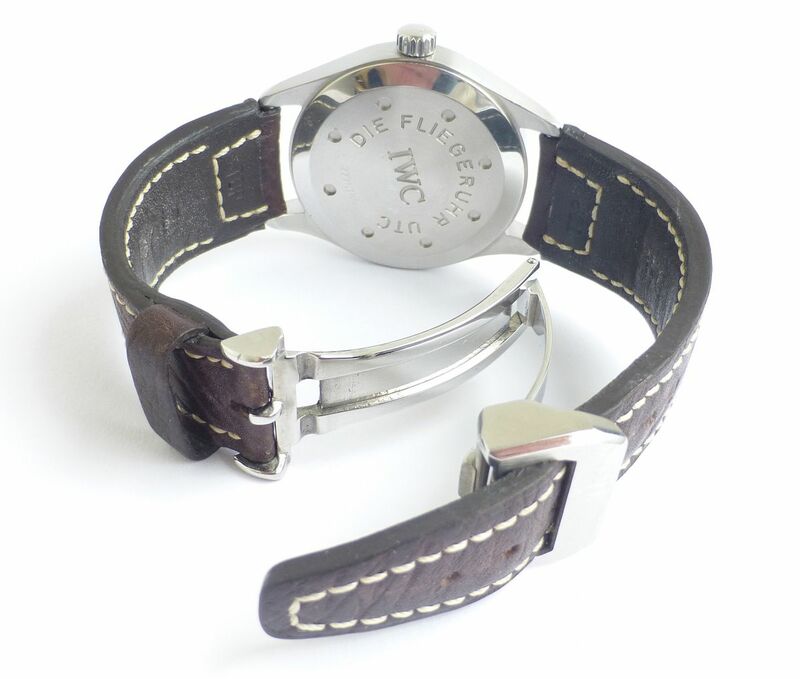 It also comes with a replacement IWC style deployant buckle. 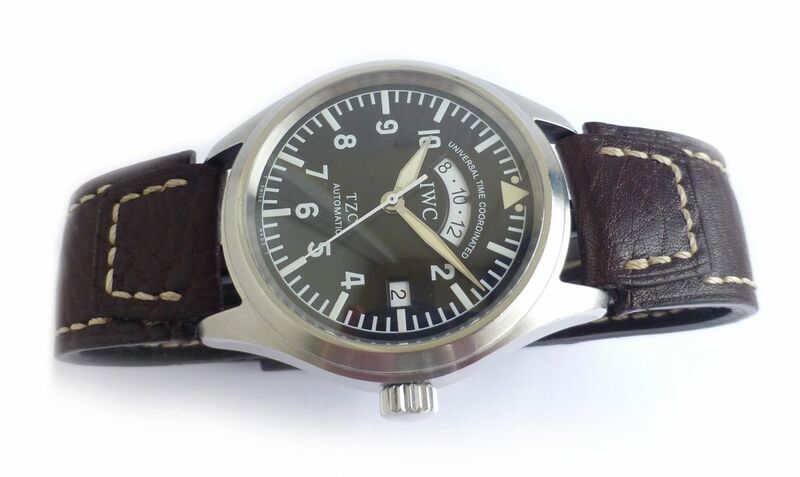 The IWC Flieger UTC is an automatic wristwatch with 24 hour second timezone indicator giving global travellers a fixed time reference point Ã¢â‚¬â€œ an essential function for multiple purposes from navigation, flight planning, time calculations to phoning home. 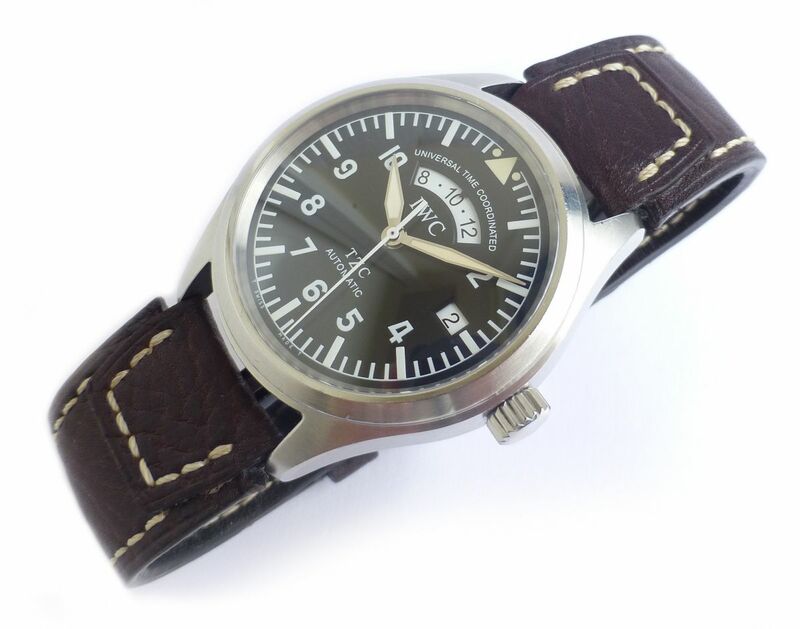 This is the more desirable and collectible pre Spitfire Fliegeruhr UTC. 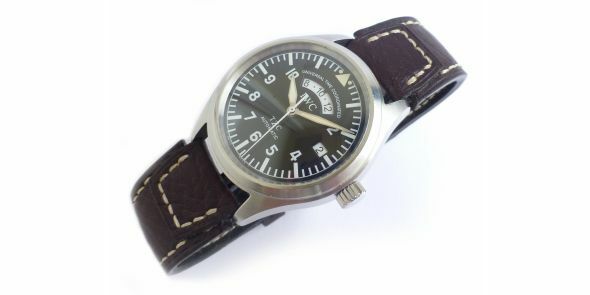 The later Spitfire model has a more dressy and less instrument feel with polished dial and polished hands and numerals. 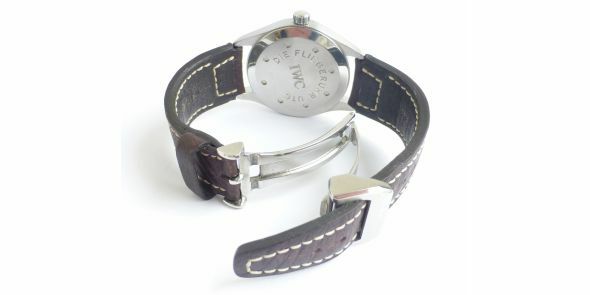 This one however is a matt dial with white luminous numbers, hands and hour markers. 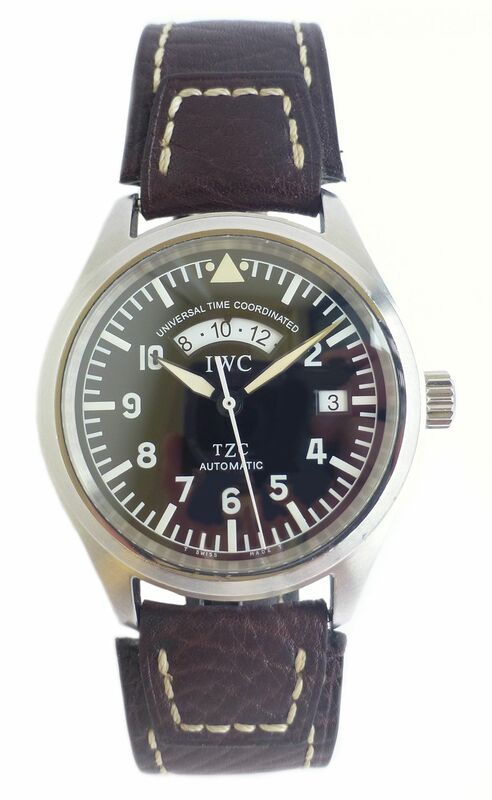 This is true to the original form of the Fliegeruhr watches Like all other IWC watches this one is made to exceptional standards and each IWC watch is hand finished, and made to the highest of standards, where attention to detail is of essence. 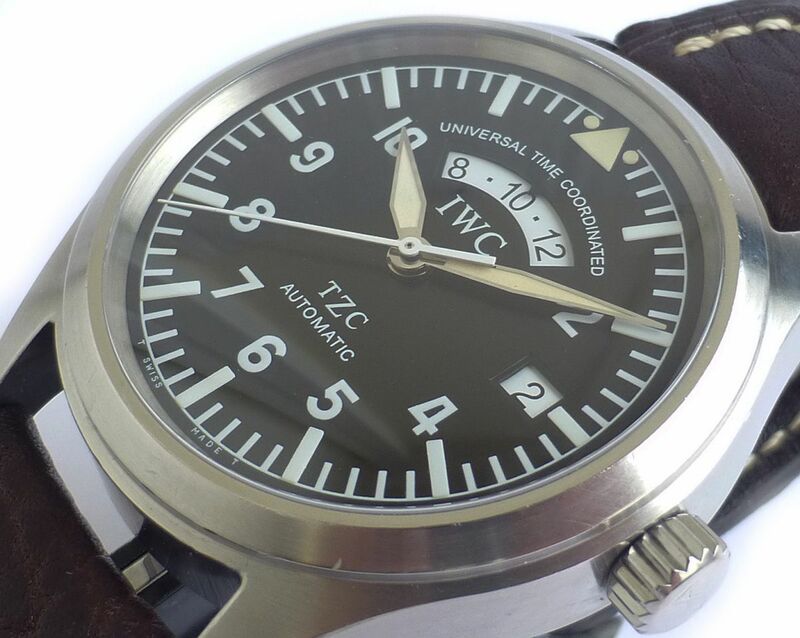 The Fliegeruhr UTC like most IWC watches is plain, simple and uncluttered yet the minimalist and simplistic approach to the designs provide an unrestrained elegance. 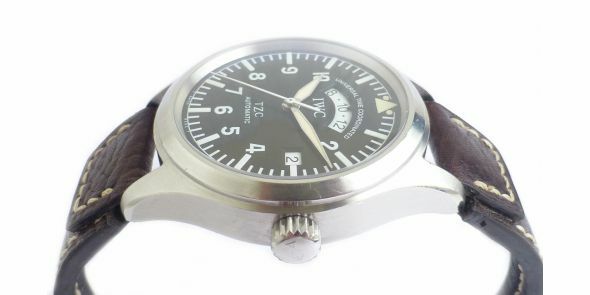 This is apparent in the Fliegeruhr UTC as well as most other IWC watches. 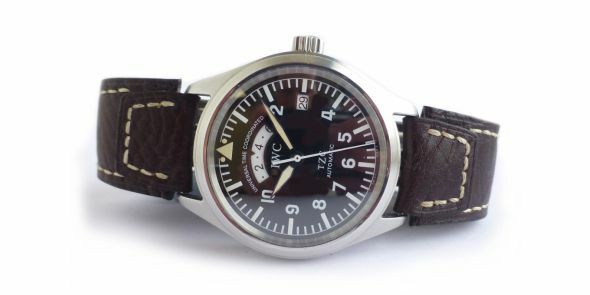 It is distinctive looking and immediately recognisable due to its unique and seldom seen UTC Ã¢â‚¬â€œ or dual time function displayed in the window at the top center of the dial. 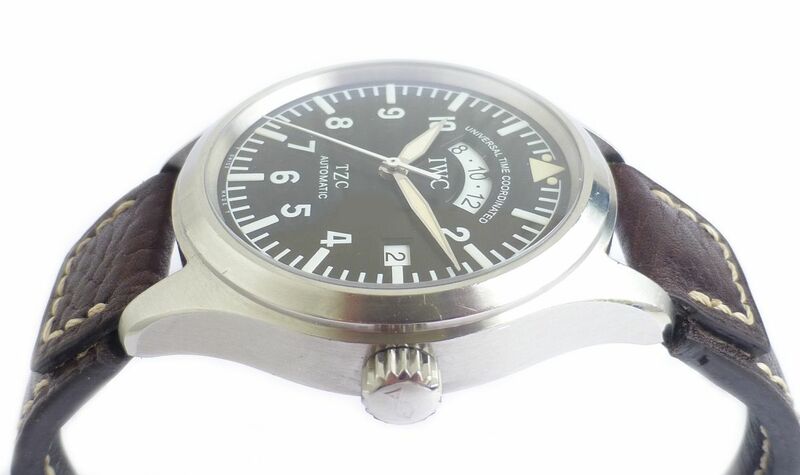 This is a 24 hour display of UTC (universal time co-ordinated with TZC (time zone corrector). This simply meaning the main clock hands can be set independently of the second dime zone indicator. The inner case is anti magnetic soft iron for strong protection against magnetic fields. 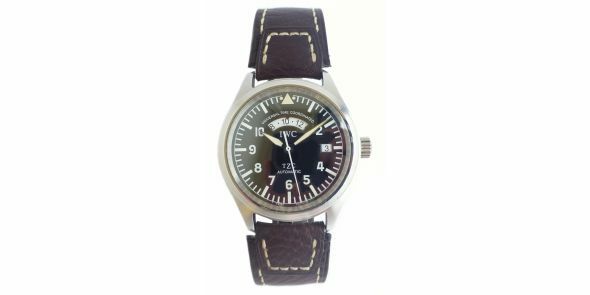 Black dial in military style with bold bright dial markings for instant legibility and designed in the style of military air crew watches. Sapphire crystal, screw down crown with self winding mechanical movement. 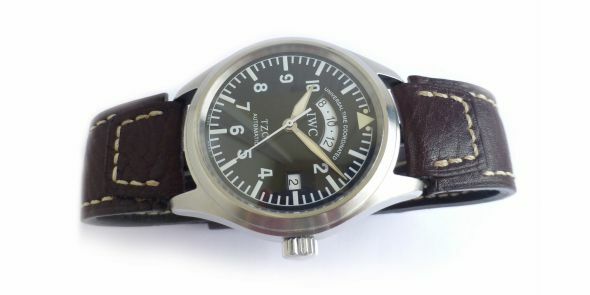 IWC were once a supplier to the British military and the RAF pilots wore this style watch. 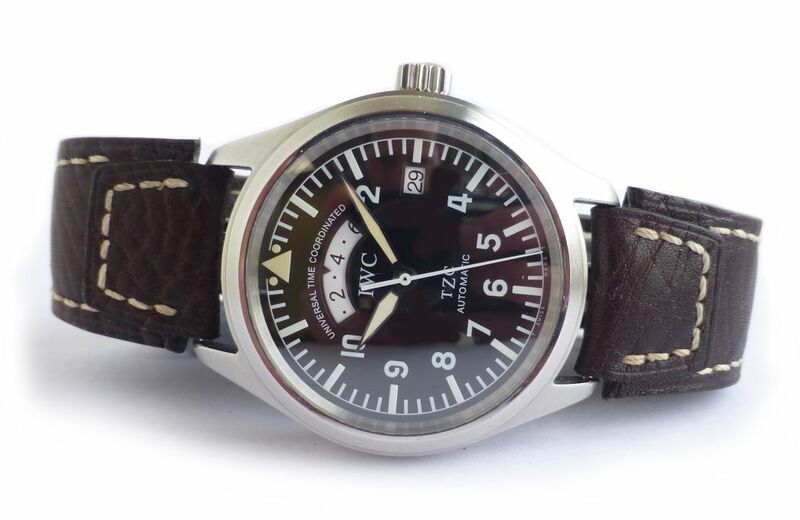 The RAF issued watches are one of the most collectible of all military watches.Ã‚Â The dimensions are as follows: Width is 39 mm excluding crown and 42 mm including crown, Lug to lug is 48 mm, Thickness is 12 mm.